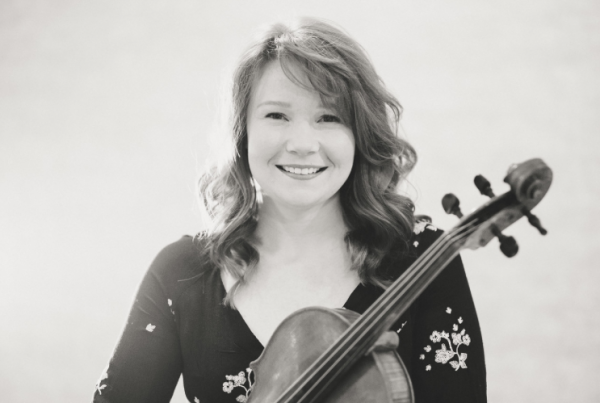 Originally from Des Moines, Iowa, Hilary began Suzuki violin lessons when she was 4 years old. She found her true passion in the viola at age 10. Hilary was educated in Chicago, receiving her bachelor’s degree from The Chicago College of Performing Arts at Roosevelt University and her master’s degree from DePaul University. Her primary instructors have included Lawrence Neuman, Rami Solomonov, and Peter Slowik. While Hilary enjoys performing around Chicagoland; she is most enthusiastic about sharing her skills with the younger generation. Providing high quality string pedagogy for young children is extremely important to Hilary. She has studied violin pedagogy through the Suzuki Institute of the Americas, DePaul University, Mimi Zweig at Indiana University, and Lucinda Ali-Landing at the Hyde Park Suzuki Institute. Through providing a non-judgemental learning environment Hilary strives to provide her students with the skills to become exemplary musicians and life-long learners. Hilary has been teaching in Hyde Park neighborhood of Chicago since 2011.